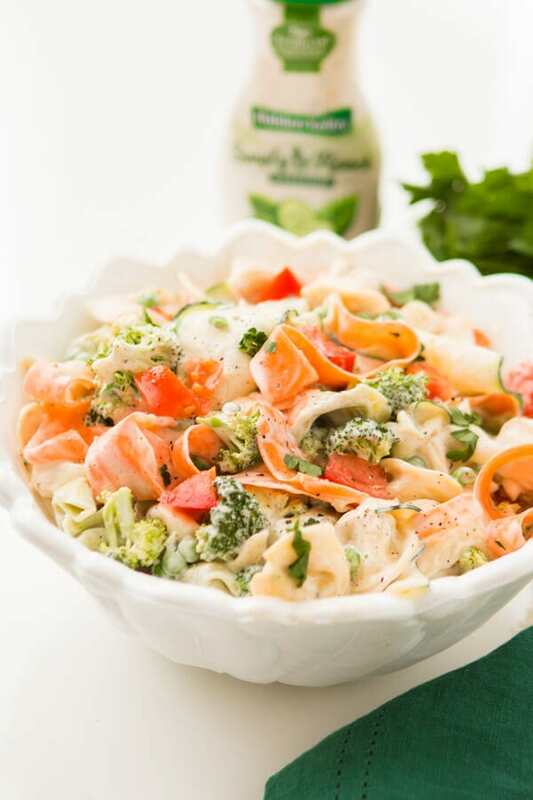 Use a potato peeler to make ribbons of veggies for this 10 minute ranch tortellini pasta salad recipe that’s a quick and easy side dish for BBQs! How Long Will Pasta Salad Keep? Properly stored, pasta salad will last for 3 to 5 days in the refrigerator. Is it just us or is half the fun of spring and summer the bbqs and potlucks? Cade and I love getting all of our friends together for a little grilling in the backyard. There’s something so wonderful about all that happens in those warm months. And not just the bbqs but the picnics, baby showers, weddings and so on. But most of all we love all of the fresh food that comes out of hiding. Especially pasta salads. Have you been on our Pinterest lately? Pasta salads are all over our feed and we love it! 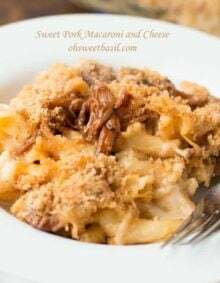 Our Easy Greek Pasta Salad has been going crazy and we couldn’t wait to make a new recipe for all of you which is why teaming up with Hidden Valley totally worked in our favor. Plus we just love them. It’s also final projects at school for our kids so we were at Walmart the other day getting a white poster board (oh how I loathe the poster making) and Cade said he wanted to make a quick and easy pasta salad like our friend Lisa made a few years ago. So, since we were already at Walmart which made it so easy to get everything we needed, Cade bought the ingredients for this 10 minute ranch tortellini pasta salad like the one she served us years ago. 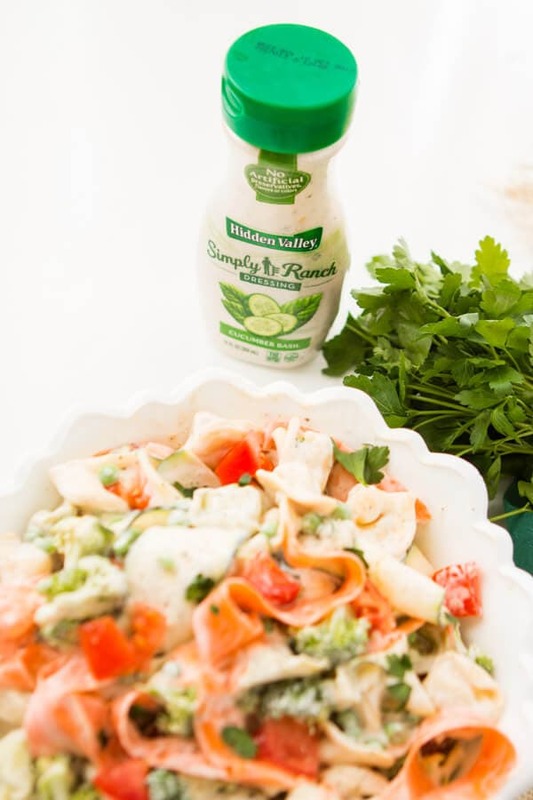 We grabbed a new product too which I’m sure you’ll know why we liked it, Hidden Valley® Simply Ranch Cucumber Basil. WHAT?! 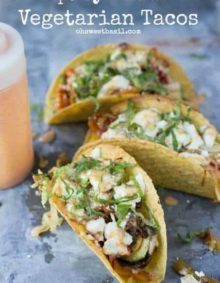 It’s so fresh and light and there aren’t any artificial flavors or colors so I’m all about a kitchen hack when I can use one. And don’t worry, there’s also Classic and Chili Lime flavors as well! In fact, we just used the Chili Lime in a fun new casserole so be watching for that! Nothing needs to be cooked other than the pasta so this is a 10 minute side dish. We love to buy the fresh tortellini found in the refrigerator section, and everything will be at one store so no driving around which I’m super tired from as a mom. Just cook the pasta (we used three cheese), drain and rinse in cool water. How Do You Know When Pasta is Done? The only way to know if it’s done is to taste it! It should be al dente, or firm to the bite. The more pasta cooks, the gummier it gets, so if it sticks to the wall it’s probably overdone. Add everything to a big bowl with the ranch and using a potato peeler, or we sometimes use this Mandolin to slice the zucchini and carrots into thin ribbons. I will warn you though, my good friend sliced right through her hand which has given me the heebie jeebies so I just found these Cut Resistant Gloves that I’m totally ordering. Haha, I’m scared now! Anyway!!! Add peas and a little salt and pepper to taste and dig in! Or if you want to take an extra 2 minutes, add tomatoes and broccoli too!! We have them pictured to give you an idea but really, the sky’s the limit with this recipe. You could even add chicken, bacon or olives and it would still be delicious or leave it with just zucchini, carrots, and peas. Are You Supposed to Rinse Pasta Once it’s Done? Many people rinse their pasta after cooking it. The only thing this does is remove the starch that helps hold and absorb the sauce. You not only wash away the clinginess, but also the flavor of the pasta. When the pasta is al dente, drain it in a colander. I love that the ranch has cucumber and basil. 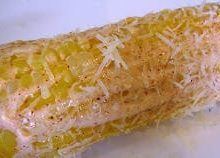 It’s fresh and it’s one ingredient that takes the place of a list of ingredients but you still turn out with a delicious recipe. Using a potato peeler or mandoline, slice the carrot and zucchini into thing ribbons. 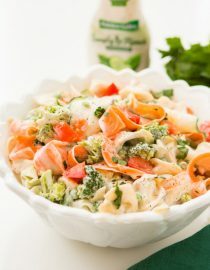 Place the tortellini in a large bowl with 1 cup of ranch, carrots, zucchini, peas and a pinch of salt and pepper. Toss to coat, seasoning to taste as you go. Serve immediately or chill for 1-6 hours, re-season if necessary and serve. Any vegetables would be great. Try tomatoes, carrots, zucchini, yellow squash, olives, peas, broccoli, peppers and even red onion! 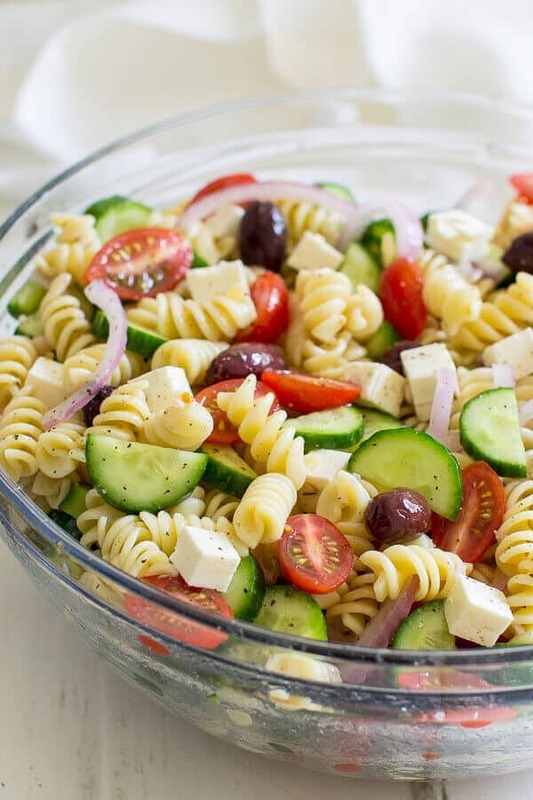 A fresh and easy Greek Pasta Salad just in time for summer! This crowd-pleasing side dish is tasty with grilled meats and at all your backyard barbecues. You should try it for sure!! hey y’all- this looks so yummy!